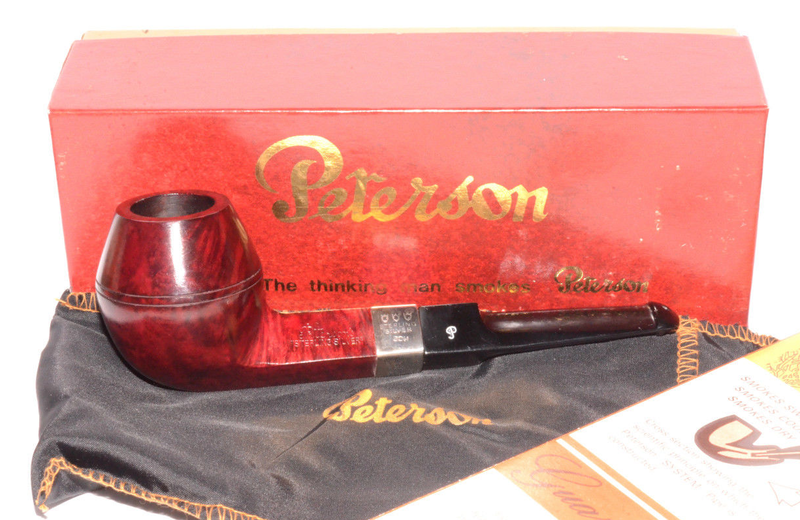 Blog-supporter Tom Carrolan’s enthusiasm for new/old stock Petersons has persuaded me to interrupt the B shapes series for a week or two to alert everyone to the existence of several Peterson 500 shapes on the market just now. 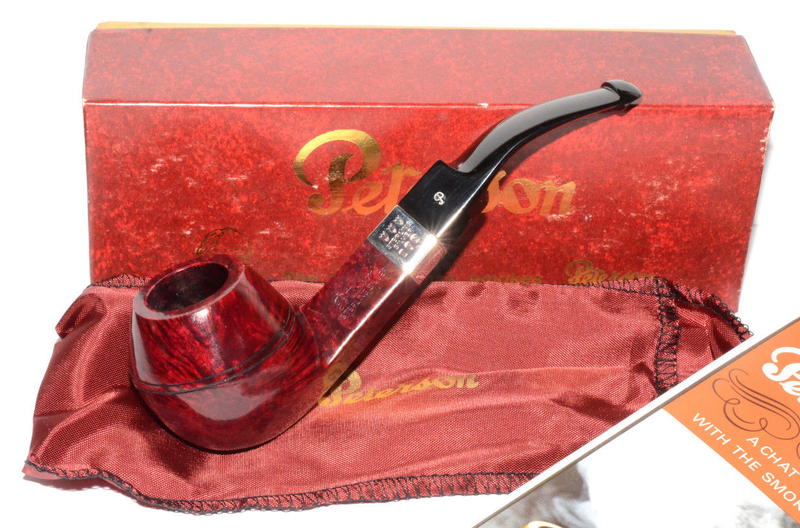 Finding a new / old stock pipe is one of the great joys in the hobby, especially for Peterson fans, where such opportunities present themselves on a fairly regular basis. 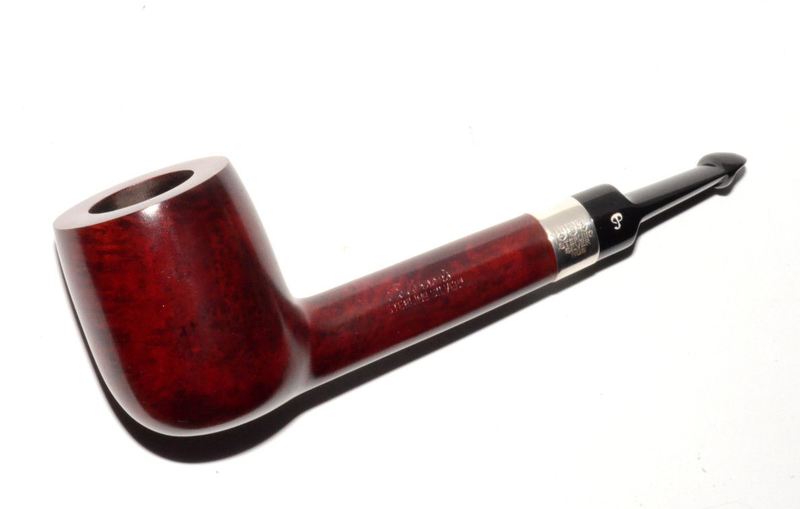 “New / old stock,” if you’re not familiar with the term, simply means an unsmoked, no longer made pipe that has not been on the market for several years and is still in its original box with its original ephemera. If such a pipe has been stored in a fairly stable, dark environment with all its ephemera, seeing one can fairly take your breath away. Sometimes an antique dealer will come up with a battered box containing an unsmoked pipe in its original sock and with its original papers, and this is always exciting. But more commonly what we see on eBay are dealers with Indiana Jones connections, raiders of lost pipe shops, purveying the precious stock of some long-gone tobacconist. Sometimes their prices are outrageous, sometimes surprisingly reasonable, but just to look at what’s on offer is always a treat. The 500 shapes aren’t documented in the Peterson ephemera, which is an important reason to stop and let everyone know they’re available just now. 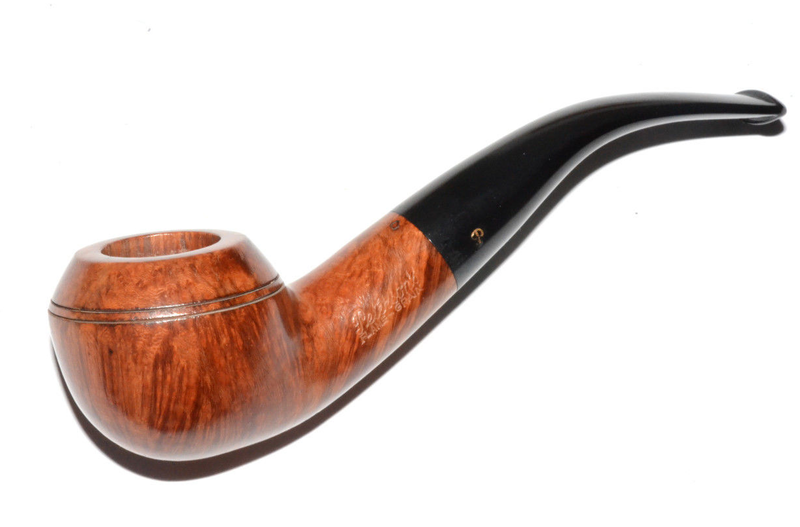 They’re big, XL shapes, mostly bulldogs and Rhodesians, and appeared around 1980 in a red stain in the Spigot, Sterling Silver and Kapet lines (from high to low), but also in standard brown stain in the lower Kildare and K Briar entry-grade lines. I’ve also seen a Supreme on the internet. The 1980s were a difficult period in the company’s history, as we recount in The Peterson Pipe: The Story of Kapp & Peterson. 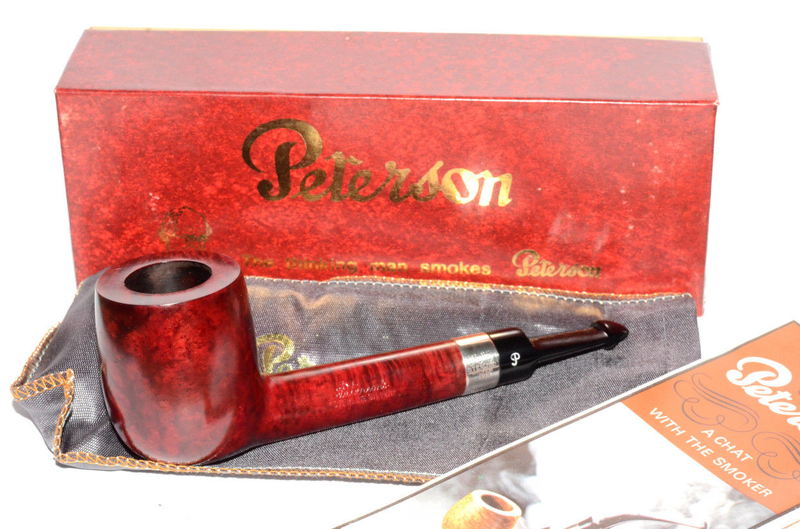 Global pipe sales had plummeted to an all-time low and Peterson, like many other companies, was retrenching. While we have a good record of the company’s offerings in the 1970s and 80s, the 500 shapes are nowhere to be seen. They’re big pipes, which made me think they might have been made designed for the U.S. market, were it not for the fact that some of them accommodate a 6mm filter, which is usually a sign that they were destined for the German market. Length: 147 mm. / 5.79 in. Chamber diameter: 21.5 mm. / 0.85 in. Chamber depth: 43 mm. / 1.69 in. Weight: 49 gr. / 1.72 oz. Length: 145 mm. / 5.71 in. Chamber Diameter: 21 mm. / 0.83 in. Chamber Depth: 36 mm. / 1.42 in. Weight: 40 gr. / 1.41 oz. Length: 148 mm. / 5.83 in. Chamber Depth: 40 mm. / 1.57 in. Weight: 46 gr. / 1.62 oz. Chamber Diameter: 21.5 mm / 0.85 in. Chamber Depth: 38 mm. / 1.50 in. Length: 152 mm. / 6.0 in. Chamber Diameter: 20 mm. / 0.8 in. Chamber Depth: 38 mm. / 1.5 in. Weight: 61.6 gr. / 2.2 oz. 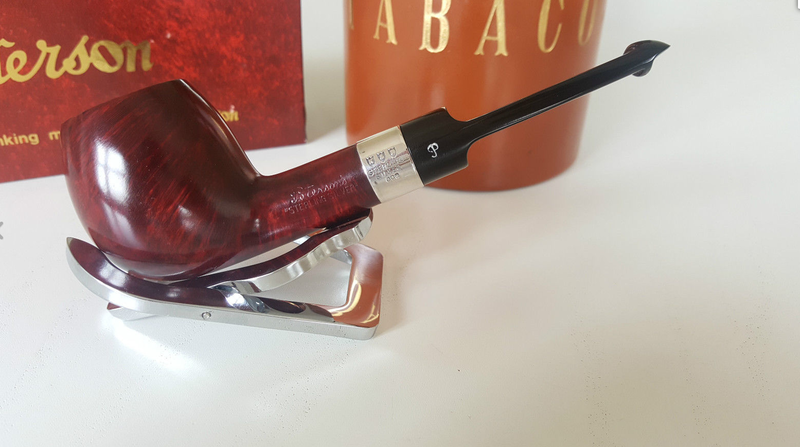 The photos here are courtesy three eBay dealers, but it was Thomas’s great pix and detailed descriptions at Bruyerepipes on eBay that convinced me to post this blog. Bruyerepipes, based in Berlin, still has a few Petes from the 1970s (check out that 999 John Bull below), but also most of the 500 series and several other 1980s vintage Petes. He debuted on eBay in 2010, selling pipes and vintage collectible tins and has gradually expanded the business. A second great source for the 500s just now is my friend Ijit, who operated the famous Jay-Ems tobacco shop in London between Westminster Abbey and Westminster Cathedral. The shop is gone, but Ijit, who does business on eBay as Namaskarmantra and on the web as Jayems.com, still has plenty of Peterson new/old stock, including several of the 500s. While his photos might be better, his prices are quite reasonable. If you don’t see what you want, it’s always a good idea to ask—he might just have it. 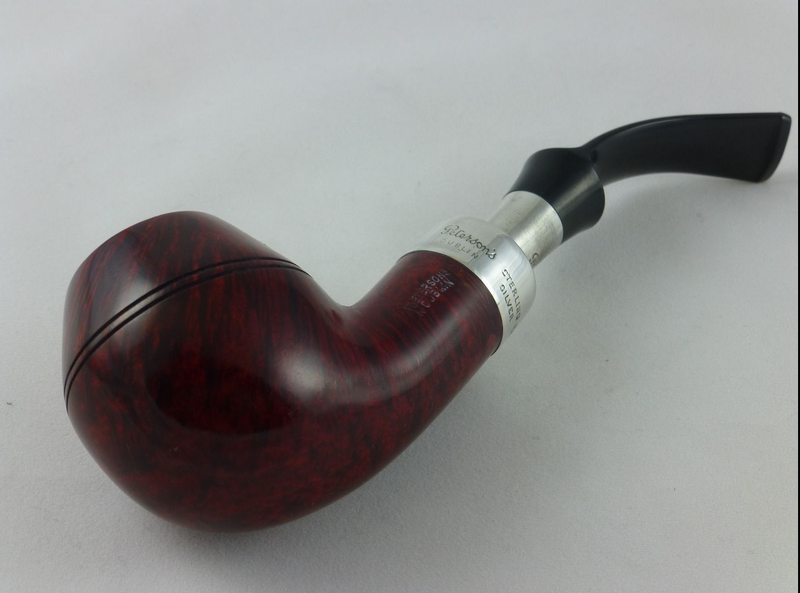 A third place to find the 500s is through Mary Whelan’s eBay store, MW-Estate-Pipes. Mary divides her time between London and Dublin, and she is absolutely mysterious when questioned about how and where she acquires her new/old stock. I suspect necromancy may be involved. My co-author and I have dealt with her several times to source important pieces for the book, and her Peterson offerings are always worth a look. You can access all three dealer’s offerings by clicking on the Advanced link at the top right of the eBay home page. Under the Items heading on the left side of the page, click By seller, then enter the business name. Happy hunting! Yup, this is what you think it is: one of the very last of the 999 John Bulls, in Flame Grain dress, from the tail-end of the 1970s and early 1980s. New/old stock. Fascinating Peterson info as always. I’ve had the 505 shape on my radar/wish list for a while, but haven’t found the right one yet. Jay-Em has one, but it is a Silver-Spigot with fishtale stem, not an attractive combination to my eyes. I had seen these NOS pipes listed and wondered what about the backstory. Thanks for filling in the blanks! An interesting read as always, I learn something new with every new post. Thanks for the intro to this Pete source… bought one! As upshallfan mentioned Jayem WAS in possession of a 505, I have it now, I agree it would be sleeker with a taper stem and plip. But it’s a mighty fine pipe. You are a fortunate man! Enjoy.